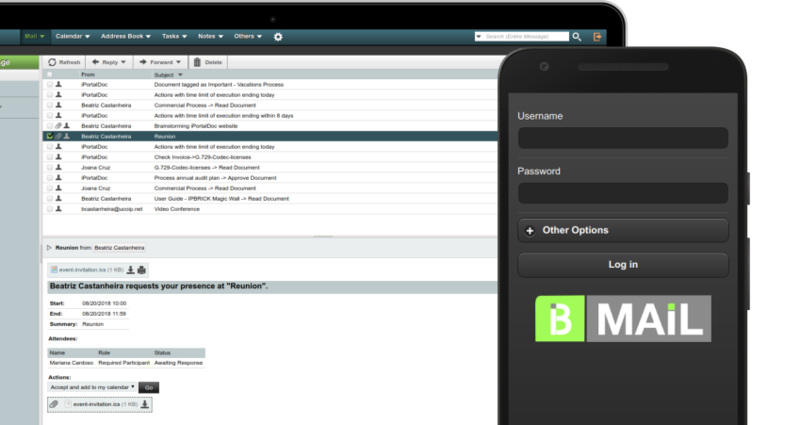 iPortalDoc is a Document and Process Management system with workflows, that operates On-premises and in Private Cloud. It is prepared to help all types of companies and institutions in the management of their work processes, among them: Correspondence, Sent Letters, Financial, Human Resources, Commercial, Technical, Administration, Email Archiving, Marketing and Legal. 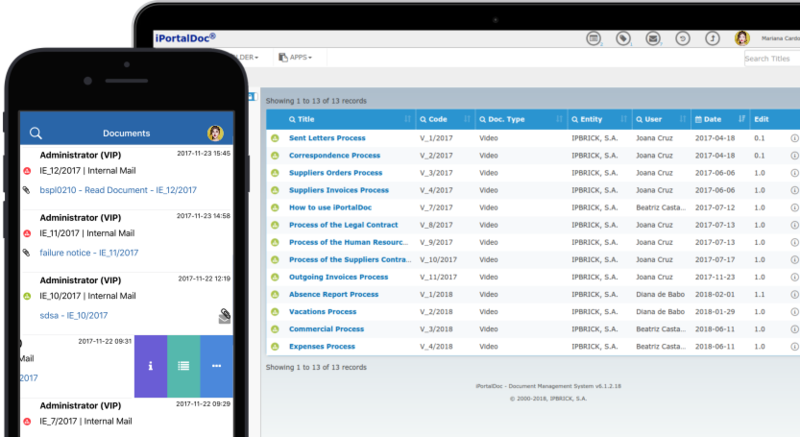 It’s the only Document and Process Management solution that integrates, natively, with a Unified Communications Center, which allows Calls, Emails and Chat Conversations to be recorded in the Document Management and to be associated to documents/processes to which they relate, being available for consultation at any time. IPBRICK.UCoIP is a Unified Communications Center, with no limit of users or phone extensions, that operates On-premises or in Private Cloud. 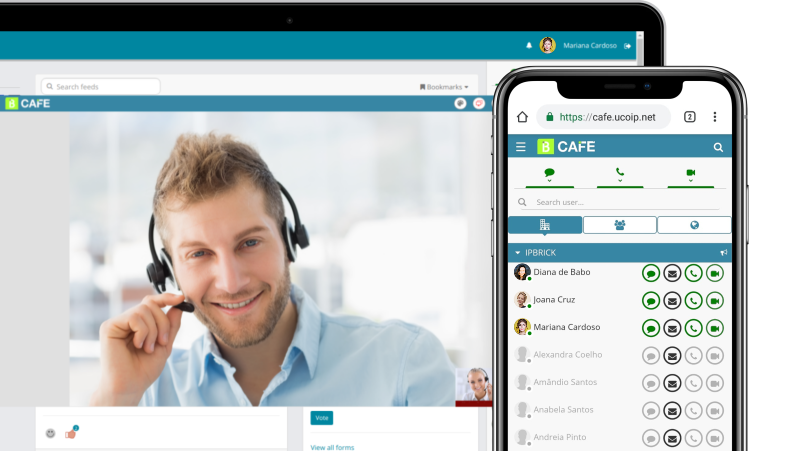 Since the Communications center includes Voice, Videoconference and Professional Chat, duly integrated with Email, it is capable of using the Email address as a common address (UCoIP address) to easily communicate through the provided communication channels. 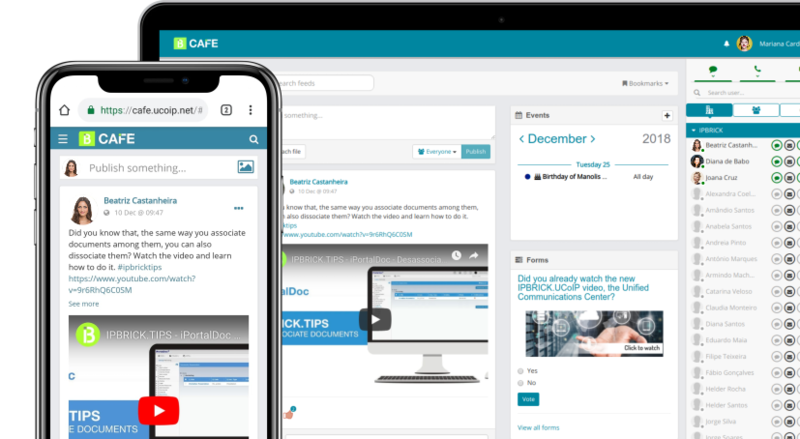 IPBRICK.CAFE is a private and secure space that helps companies reduce the number of emails (received and sent), since it allows them to exchange ideas, discuss projects and even take joint decisions, through the social area available in the main interface of the solution. In addition to a social area, IPBRICK.CAFE provides a polls area, a news area and an area to access work applications. The Digital Workspace of IPBRICK also integrates with the Unified Communications solution (IPBRICK.UCoIP) that allows users to communicate by Voice, Video, Professional Chat and Email. It is also the main “access door” to IPBRICK solutions. IPBRICK.MAIL is the best alternative, available on the market, to keep electronic mail and collaborative tools (agenda, contacts and calendar) under the complete control of companies. With this solution, companies can continue to use the applications to which they are used to, such as Outlook, Mozilla Thunderbird or a common browser, to send and receive emails, as well as to access to personal and shared calendars. The mobility issue was not forgotten and, thus, you can access to IPBRICK.MAIL through your smartphone or tablet, anytime and anywhere.